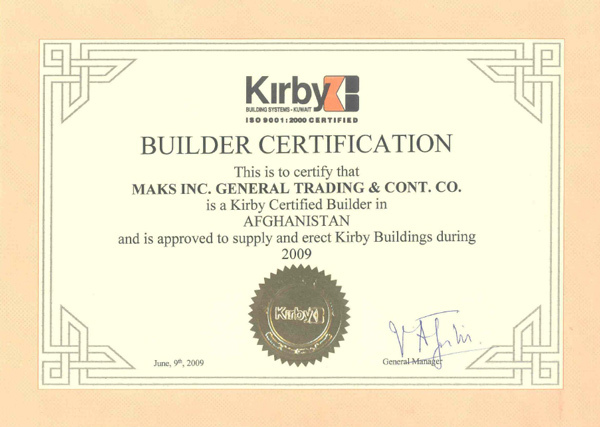 Quality has always come first at MAKS INC, and has maintained its international quality-related standards for quality-related activities in an organization to ensure customers' needs are met. ISO 9001:2008 certifications facilitate to focus on quality in order to gain a competitive edge and to access global markets. This certification aids on goal orientation, systematic management and continual improvement of performance. 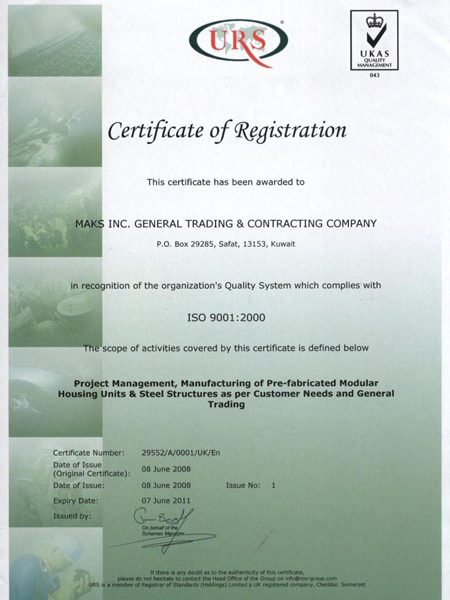 MAKS INC has an environmental management system that meets ISO 14001:2004 which is internationally recognized and accepted standard. ISO 14001:2004 environmental management system standard focuses on minimizing an organization's negative impact to the environment and compliance with applicable laws, regulations and other environmentally oriented requirements. 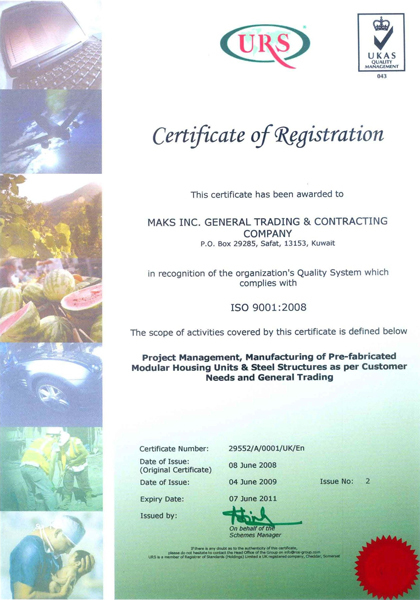 A further milestone is accomplished by MAKS INC, and has become OHSAS 18001:2007 certified by achieving excellence not only in quality but also in matters of Environment, Health and Safety. 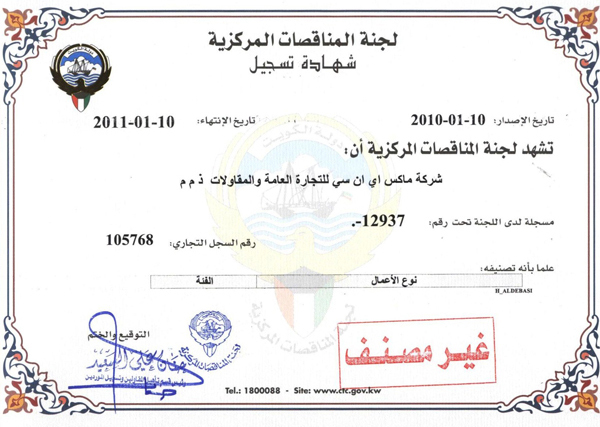 The Occupational Health and Safety Management System support organizations to create a culture of safety and maintain business sustainability. Since ISO standards are aimed at protecting consumers and by following precise, documented procedures at all phases of the project meaning the projects are held to the highest possible quality and safety standards, and rigorous in-process inspections are performed to ensure that our service is exactly what you ordered.